There was plenty of variation in there last album By Absence of the Sun, but Belgium-based hard rocking trio Triggerfinger wanted to do something different again in their fourth long player. The band enlisted producer Michael Froom who brought along new ideas, plus his keyboards, and boosted the band size to a quartet. There is some delightful, primal music here. ‘Upstairs Box’ matches growls from a wounded animal with a serpentine 80s electro dance vibe, while ‘That’ll Be the Day’ features a pounding caveman rhythm, thrown in with high pitched vocals, fuzzy guitars and sharp electro injects. ‘Bring Me Back a Live Wild One’ bookends a swaggering rhythm with alien synth sounds, while ‘Breathlessness’ sees echo-shadowed vocals emerging through an electrical storm. Drawing on elements of grunge and 70s vibes, it follows a tortured rhythmic path. However, the best material occurs in the opening trio of tracks. The title track features two basses which gift it with a deep rumble. Jagged drops of distortion bloom alongside simple, yelled choruses. It is a brutal, grunter of a song. ‘Flesh Tight’ is a real head-nodder with its attention-grabbing riff, appealing melody and catchy chorus. The V8 rumble in ‘Candy Killer’ is mated to a thumping beat, sudden flashes of keys and vocal hooks. It is an arresting combination. 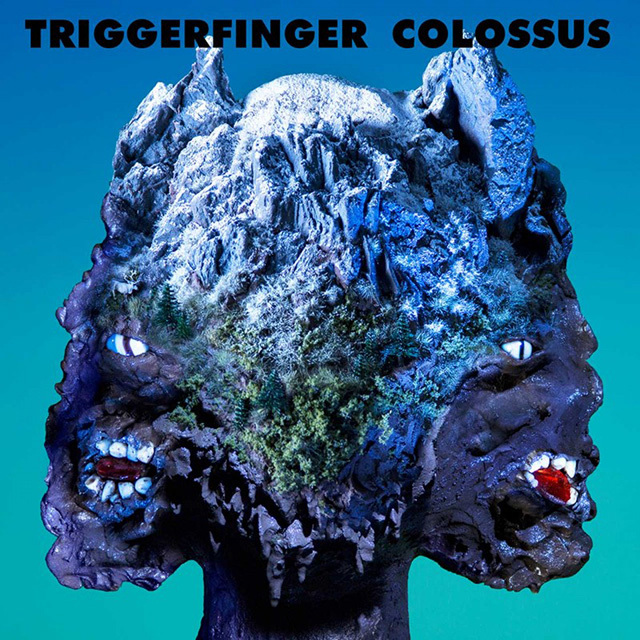 Triggerfinger saves its most inventive stuff for the closers, particularly in the eccentric ‘Steady Me’, with its prog rock influences. Tinkling crystal percussion, cavern deep electro booms, rattling drums and quirky patterns to the rhythm and vocals all feature before the song winds up in a maze of sound. In a display of more versatility, there is a jaunty country hoedown hidden after the last listed track.